We work hard to keep clean coops. 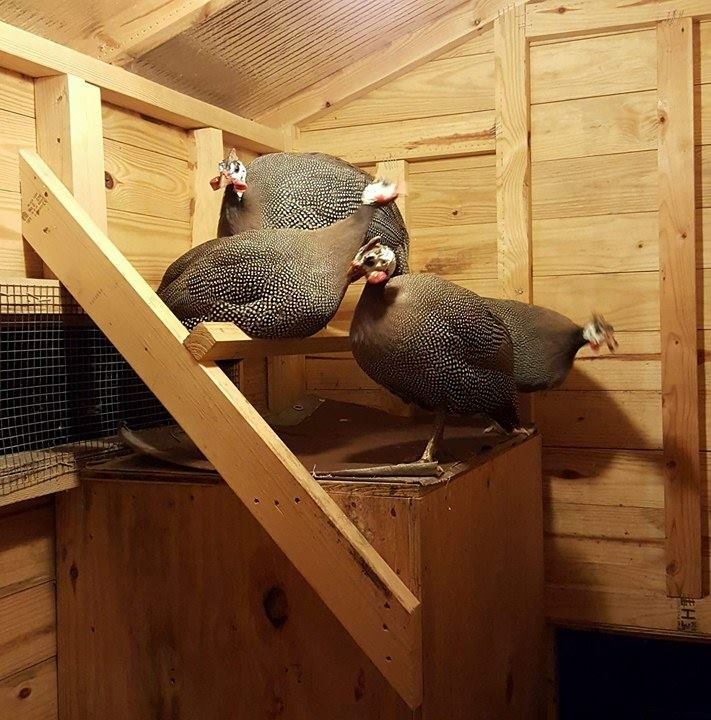 We actually have three separate coops on the property, and this is a trick we have successfully implemented in all three. 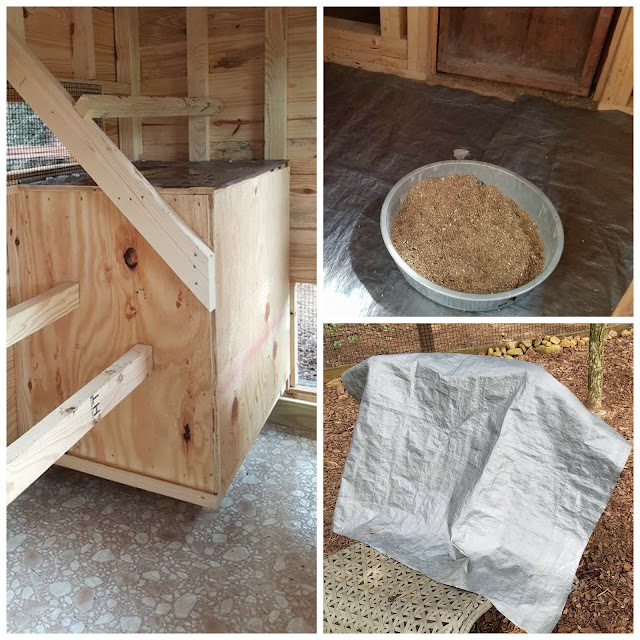 We discovered early on that if we cut tarps to the exact sizes of the floor space under the roost bars, it made cleaning so much easier. The poop area under the roosting bars can be completely cleaned out every single day. This drastically reduces flies and other insect problems, and all but eliminates any smell issue. 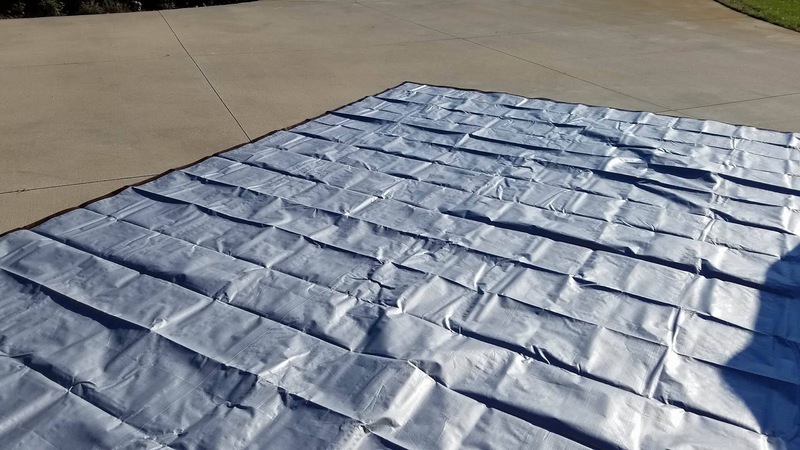 It is also much cheaper because we can remove just the tarp with the waste on them, leaving the bedding underneath clean and fresh. This is a great trick, especially in the summer when the heat, combined with ammonia smell can become quite strong in smaller roosting areas. We purchase a large tarp, and make several sets of floor mats for each roosting area. Each morning, we remove the soiled tarp and put a fresh one down. I take the soiled tarps to the compost piles, dump them, rinse them off, and hang to dry. The next day, we do the same thing again. Our last set of tarps lasted well over a year before they were needing to be replaced. It is such a simple trick and makes a world of difference in the cleanliness of the coop, the bird’s feet, the eggs, etc. Your flock will thank you!